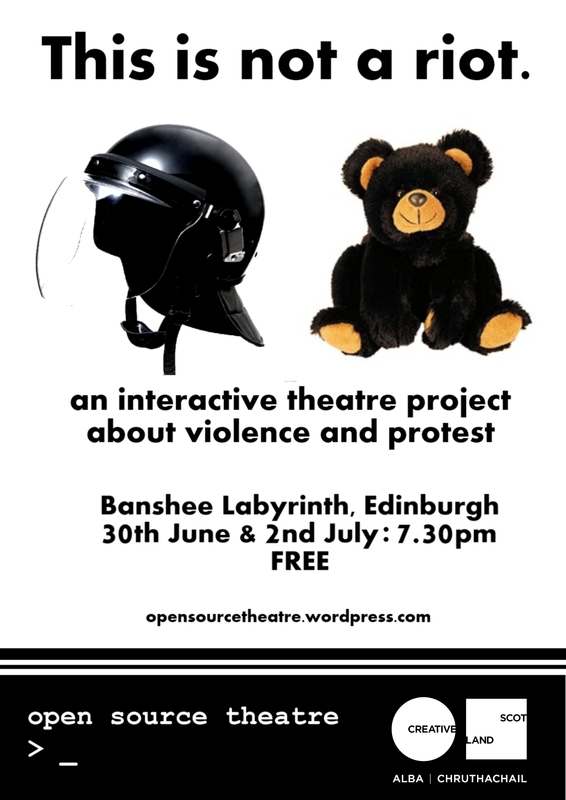 Part performance, part survival training, part blazing argument, “This is not a riot” is a new theatre project looking at what violence is, why we do it, and when it might be useful. Includes stuffed animals. Following a year of performances at venues and festivals around the UK, from The Yard Hackney to Buzzcut Glasgow, “This is not a riot” is appearing for two special free performances in Edinburgh in preparation for touring to the CrisisArt Festival in Tuscany.